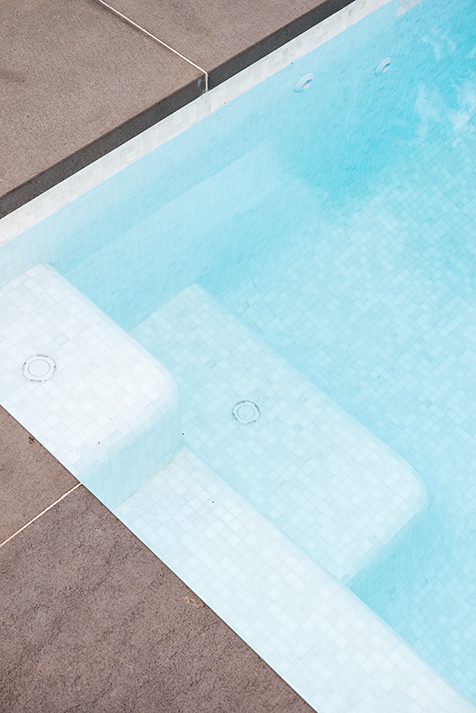 Bisazza glass mosaic tiles are the highlight of this swimming pool and landscape project. 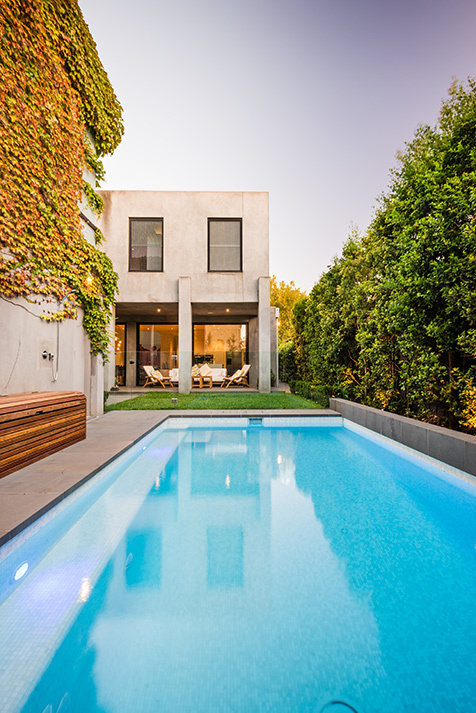 The brilliant white tiles provide an elegant contrast to the existing residence. 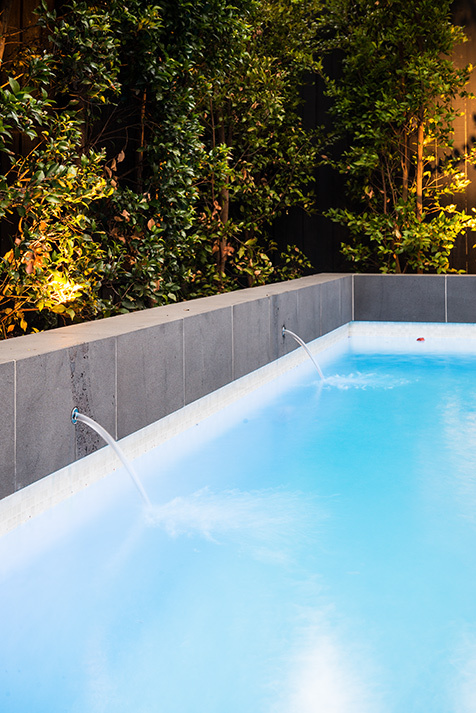 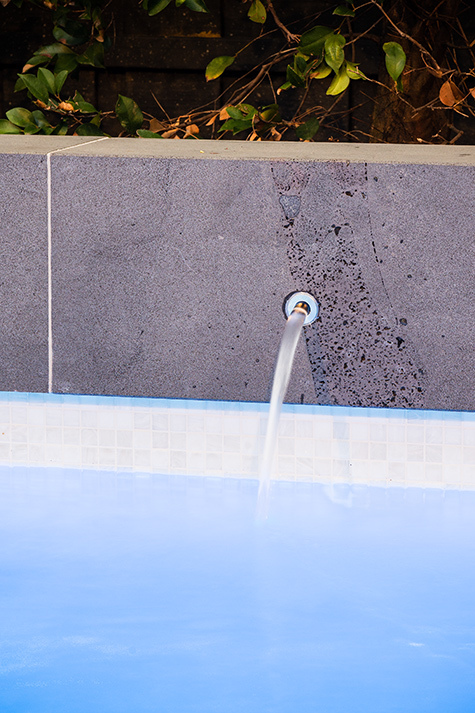 The raised water feature wall has been clad in imported bluestone to match the large format paving that frames the pool. 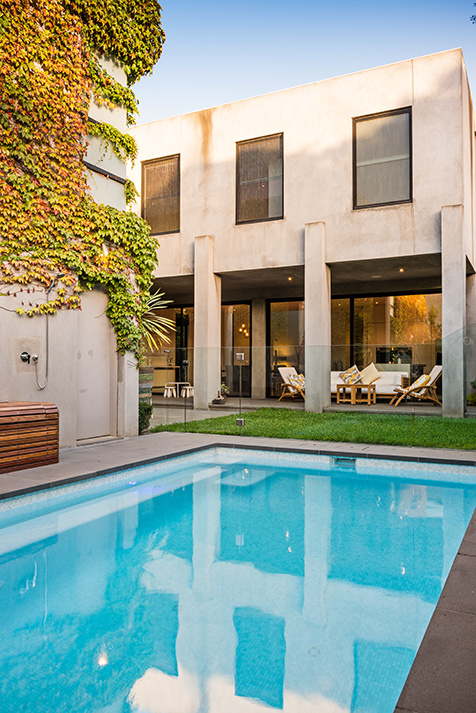 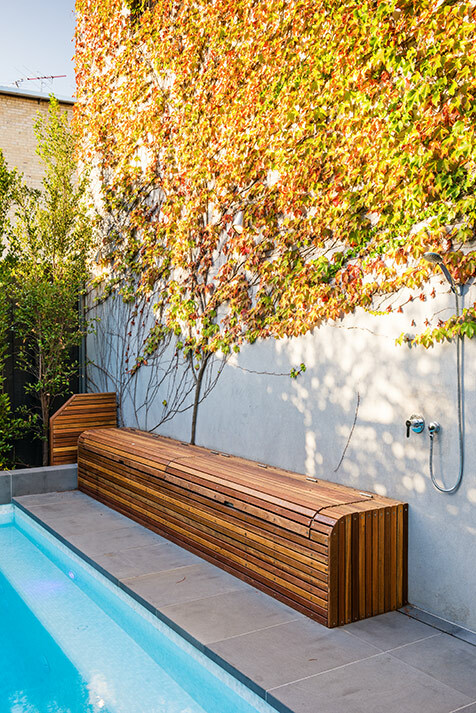 A custom built timber seat provides storage with a unique rounded edge designed to compliment the rolled edges of the pool steps and seat.